We design and manufacture a wide range of fixed and moving consoles adapted to all kinds of vehicles. SMRC’s Floor Consoles are remarkable storage systems, integrating electronic options and cup holder systems. Through proprietary consumer research, SMRC ensures all floor consoles meet the demand of vehicle manufacturers and end consumers regarding their functional storage needs in the interior. Designed with expert engineering and a rigorous product development process, each floor console is delivered to the vehicle manufacturer with the highest level of craftsmanship and performance. Reduces the number of mechanisms and moving parts (by integrating directly into the console finish panels) for improved craftsmanship, e.g. the integrated cup holder system. Allows flexibility for different types of storage mediums through removable storage compartments. Enables the entire console system to be transported from the vehicle since it is removable. Accommodates the integration of rear seat entertainment or other electronic features. Provides functional storage that is easily used by consumers anytime since it features front and rear lighted storage. 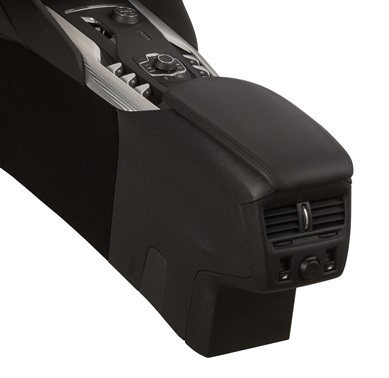 Offers individualized comfort features for improved customer satisfaction through the split armrest feature. 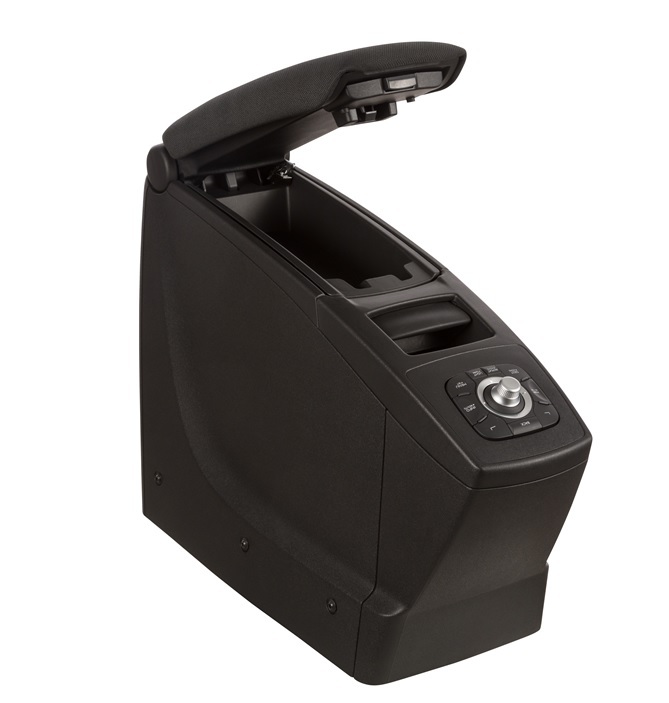 Provides flexible open positions for the console bin to accommodate driver preferences. Operates using ergonomically correct electronic latch release; providing easy movement of console, both forward and backward.